Caffeinated teas promote weight loss, boost the immune system and lower the risk of many diseases. Contrary to popular belief, black and red teas contain the same antioxidants (polyphenols) found in green tea that help prevent disease. However, green tea is less processed and has a higher antioxidant content, and white tea, the least-processed of all, contains the most antioxidants. Although the drying, crushing, and fermenting process used with black and red teas (as opposed to the quick steaming used for green teas) may lower antioxidant levels slightly, black and red teas are still excellent sources of polyphenols. Many experts maintain that there is little difference in overall antioxidant power among the four types of tea. Cardiovascular health – Many studies have found an association between tea drinking and reduced risk for cardiovascular problems such as heart disease and stroke. Osteoporosis – Regular tea drinkers tend to have stronger bones than their tea-avoiding counterparts, even when taking into account confounding variables such as smoking, exercise, body weight, and age, and multiple studies suggest that tea drinking may protect against bone loss. Immune function – A number of studies suggest that tea may boost the immune system. Cavity prevention – Tea is a great source of fluoride and tannins, which help to prevent cavities. Weight loss – Research indicates that drinking caffeinated tea can help with weight loss and reduce the likelihood of gaining weight. Cancer – Some (though not all) studies suggest that tea may protect against many different cancers, likely because of its high antioxidant content. However, more research is required to confirm or refute this health benefit. Parkinson’s disease – Emerging evidence suggests that drinking tea cuts the risk of developing Parkinson’s disease, which causes involuntary trembling, muscle stiffness, and movement difficulties. Alzheimer’s disease and dementia – Studies support a link between tea drinking and lower risk of developing Alzheimer’s disease or dementia. Tea appears to assist in the maintenance and repair of brain cells and helps to prevent cognitive decline. Herbal teas don’t offer all of the same benefits as caffeinated teas. However, many popular herbal teas provide other health benefits. This article is provided for informational purposes only and is not intended to represent medical advice. If you have any concerns regarding your health, you should consult a doctor. Babu, P.V., & Liu, D. (2008). “Green Tea Catechins and Cardiovascular Health: An Update.” Current Medicinal Chemistry, 15(18), 1,840-1,850. Davis, J. (Reviewed by Brunilda Nazario, MD). (May 5, 2005). “Antioxidants in Green and Black Tea.” WebMD. Elsevier (2007, December 14). 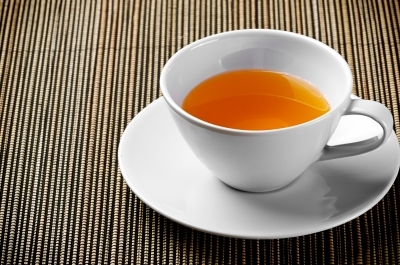 “Green Tea May Protect Brain Cells Against Parkinson’s Disease.” ScienceDaily.com. Higdon, J., PhD, Drake, V.J., PhD. (Reviewed by Dashwood, R.H., PhD, 2008). “Tea.” Linus Pauling Institute, LPI.OregonState.edu. Lopez-Garcia, E., van Dam, R.M., Rajpathak, S., Willett, W.C., Manson, J.E., & Hu, F.B. (2006). “Changes in Caffeine Intake and Long-Term Weight Change in Men and Women.” American Journal of Clinical Nutrition, 83(3): 674-680. Tan, L.C. ; Koh, W.; Yuan, J..; Wang, R.; Au, W.; Tan, J.L. ; Tan, E.; & Yu, M.C. (2008). “Differential Effects of Black Versus Green Tea on Risk of Parkinson’s Disease in the Singapore Chinese Health Study.” American Journal of Epidemiology, 167(5), 553-560. Warner, J. (Reviewed by L. Chang, MD, 2007). “Drinking Tea May Slow Bone Loss.” WebMD.com.